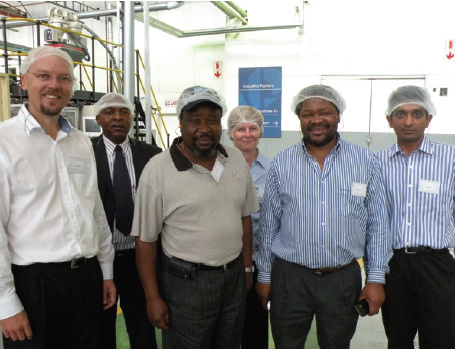 Nampak Liquid is a proud member of the greater Nampak Group, the most diversified packaging company in the Africa. No other packaging company produces as wide an array of packaging options. Spanning across rigid plastics, flexible plastics, metal, paper and glass Nampak offers its customers just about every type of packaging imaginable. Backed by expert advice by Nampak's R&D facility we specialise in providing the best possible pack type for the product. After all, as the packaging becomes the face of the product, it must be attractive, protect the contents in transit, ensure shelf life and be available in convenient portions. 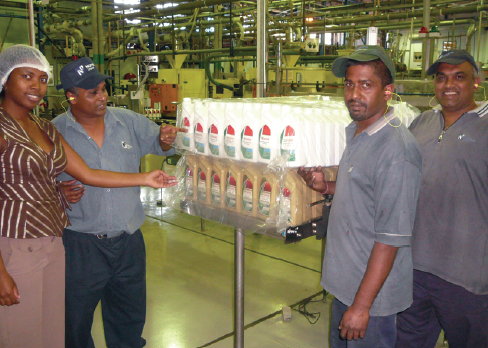 Nampak Liquid KZN not only specialises in the production of HDPE and PET plastic bottles, but also in the provision and serving of the complimentary filling machinery with technicians on 24 hour standby. Increasing attention to environmentally friendly packaging and production processes. By placing mini-Nampak plants in our customers plants and blowing the bottles on site, we do away with the cost of transporting the empty bottles to the customer to be filled. The inplants also substantially reduce the company's carbon footprint on the environment. We have two inplants in KwaZulu-Natal, one in Clover Queensborough and the second was recently opened at Orange Grove Dairies in Dundee. As always we have numerous exciting projects but we don't want to let the cat out the bag yet! Nampak Liquid Westmead is extremely involved in the KwaZulu-Natal community and has an outstanding track record of social responsibility initiatives. To mention a few: Participated in the Jimmy Carter Habitat for Humanity project. NP Liquid KZN donated the packaging for the beverages supplied to the builders of the houses for the under privileged. In conjunction with the Rotary Club we donated an entire truck load of 5L bottles to the community in Valley of 1000 Hills. With the bottles they could fetch and transport clean water from the local mission station back to rural areas. Every year we round up interested customers and in conjunction with KZN Wildlife participate in international coastal clean-up day. This involves both sponsoring school children to clean beaches and scuba divers clean the reefs. stronger, faster when consuming proper breast milk. We donate all the HDPE bottles used by the South African Breast Milk Bank. To develop and enhance a positive Nampak experience which drives customer loyalty and business growth. To be the preferred packaging supplier in KZN. Date Established: Originally started in 1966 as part of C J Fuchs and was called Fuchjay. Bought out by Nampak in 1980 and was named Blow Molders. Merged with Metal Box Liquid Packaging in 1997 and was renamed Nampak Liquid. This particular branch in KZN was first established in Mobeni in 1982. It later moved to New Germany in 1995. When it outgrew that, it moved to Westmead in 2001. Subsidaries: Nampak Liquid Westmead is one of 106 factories in the larger Nampak Group. (60 in South Africa, 25 in the rest of Africa and 21 in Europe). Nampak Liquid Westmead is one of eleven NP Liquid branches. The division also has four inplants, two of which are found in KZN i.e. Clover Queensborough and more recently Orange Grove Dairies in Dundee. Customer Base: We serve the dairy, fruit juice, sorghum beer, mineral waters, wines, chemicals, mageu, and motor oil markets.